Li S, et al. New insights into the pathophysiology of post-stroke spasticity. Front Hum Neurosci. 2015 Apr 10;9:192. Lawrence DG, Kuypers HG. 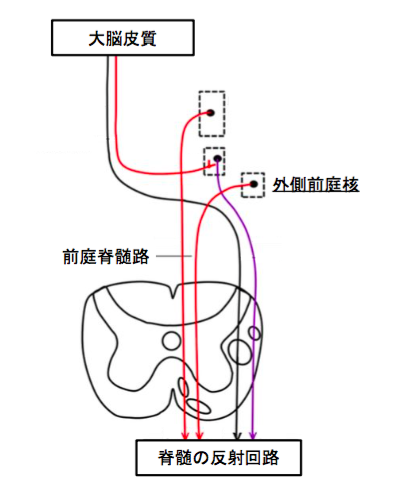 The functional organization of the motor system in the monkey. II. 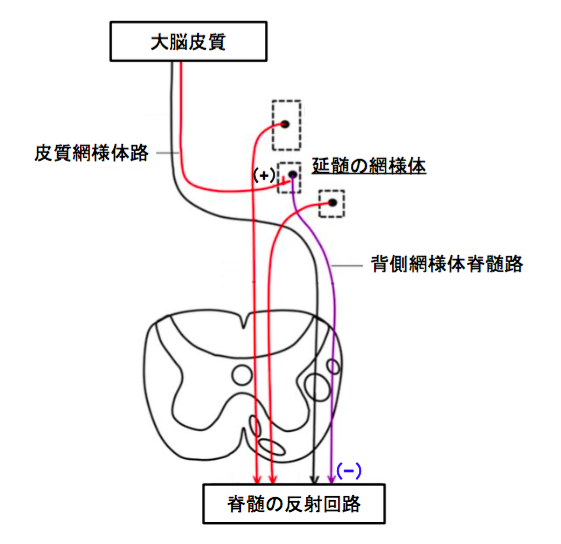 The effects of lesions of the descending brain-stem pathways. Brain. 1968 Mar;91(1):15-36. Gilman S, et al. Experimental hypertonia in the monkey: interruption of pyramidal or pyramidal-extrapyramidal cortical projections. Trans Am Neurol Assoc. 1971;96:162-8. Fries W, et al. 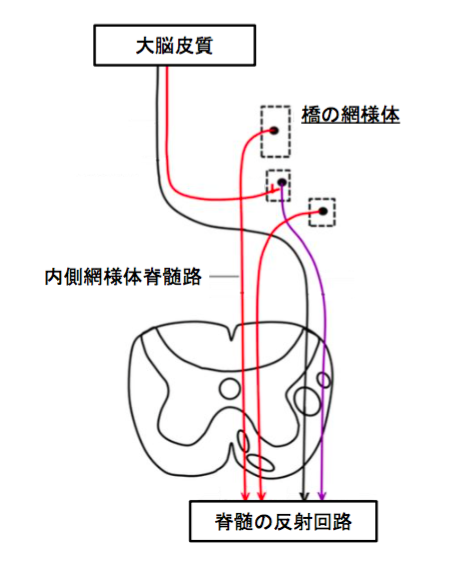 Motor recovery following capsular stroke. 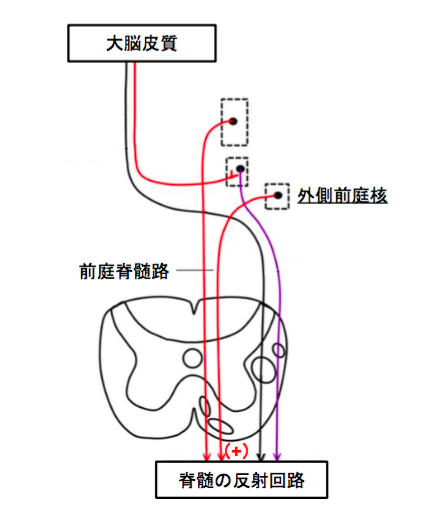 Role of descending pathways from multiple motor areas. Brain. 1993 Apr;116 ( Pt 2):369-82. Kennedy PM, et al. 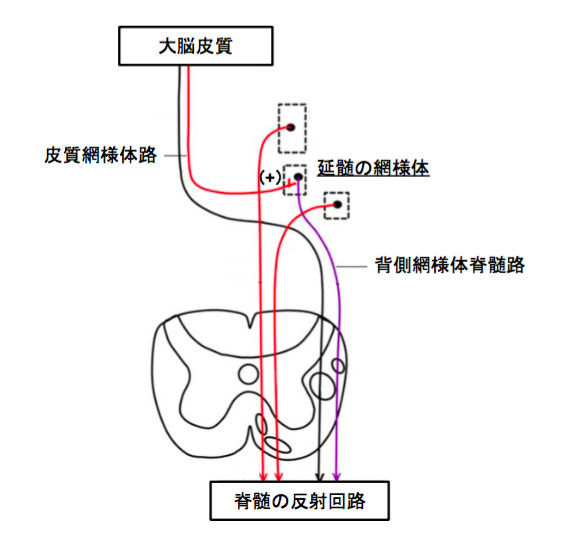 Vestibulospinal influences on lower limb motoneurons. 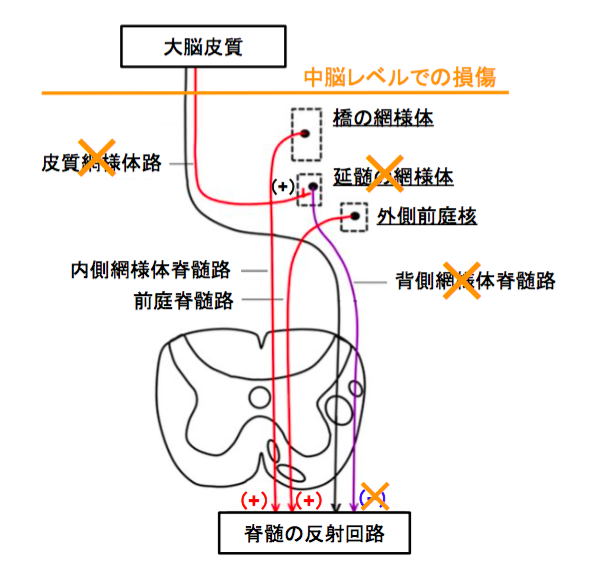 Can J Physiol Pharmacol. 2004 Aug-Sep;82(8-9):675-81. Davis M, et al. 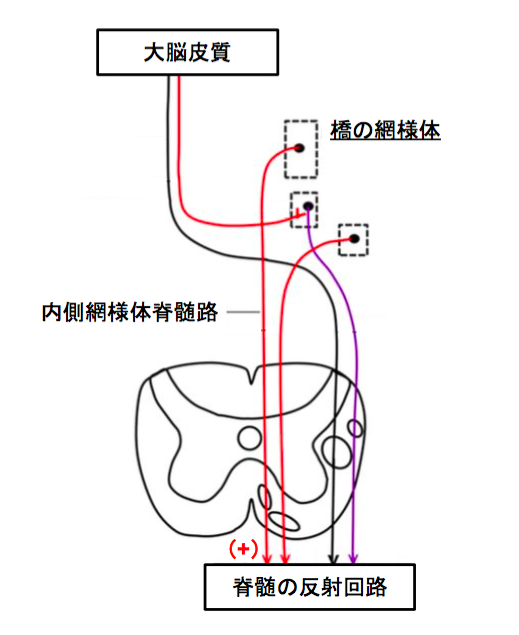 A primary acoustic startle circuit: lesion and stimulation studies. J Neurosci. 1982 Jun;2(6):791-805. Voordecker P, et al. 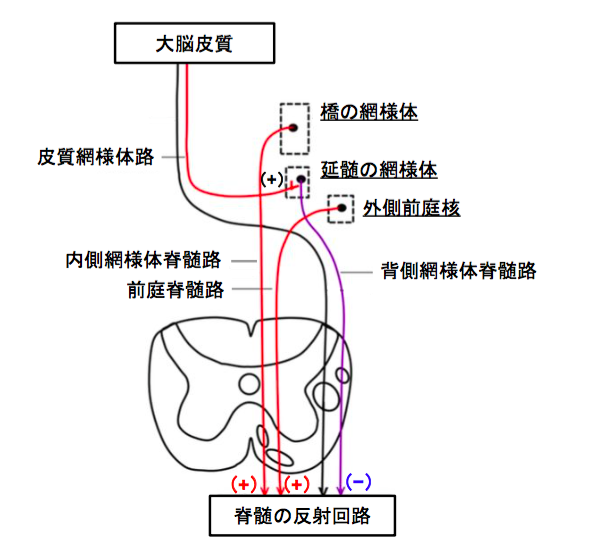 Audiogenic startle reflex in acute hemiplegia. Neurology. 1997 Aug;49(2):470-3. Jankelowitz SK, et al. 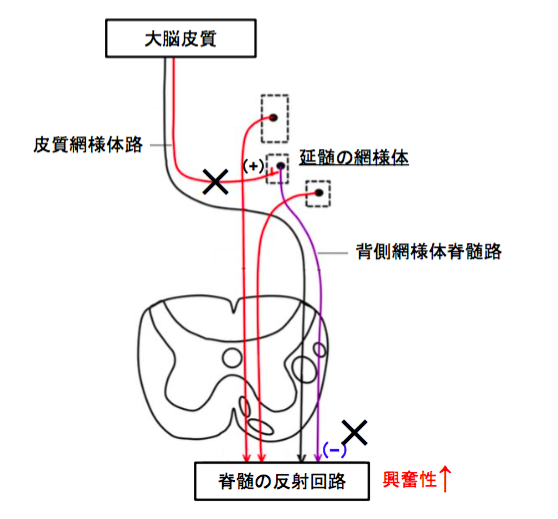 The acoustic startle reflex in ischemic stroke. Neurology. 2004 Jan 13;62(1):114-6.